I’m very fortunate living where I do in a thriving provincial town in the Garden of England, surrounded by some beautiful and, at times, spectacular country side. My adopted home town of Tonbridge might have its detractors, but it has plenty going for it, including a pleasant river-side setting, a 13th Century castle, fast road and rail links to the rest of the country and, at long last, some great places to enjoy a pint. The town is also fortunate to have an area of unspoilt, but managed countryside on its doorstep in the form of Haysden Country Park. The latter occupies an area of about 65 hectares (160 acres) in the Medway Valley, to the west of Tonbridge, and includes a range of habitats such as river, grassland, freshwater lakes, marshland and woodland. The site was formerly agricultural land, but its location on the Medway Flood Plain, meant there were extensive deposits of sand and gravel just below the surface. Between 1974 and 1980 these valuable building materials were extracted from the land; dug out by means of dragline excavators. These works altered the landscape and created two artificial lakes: Barden Lake and Haysden Water. 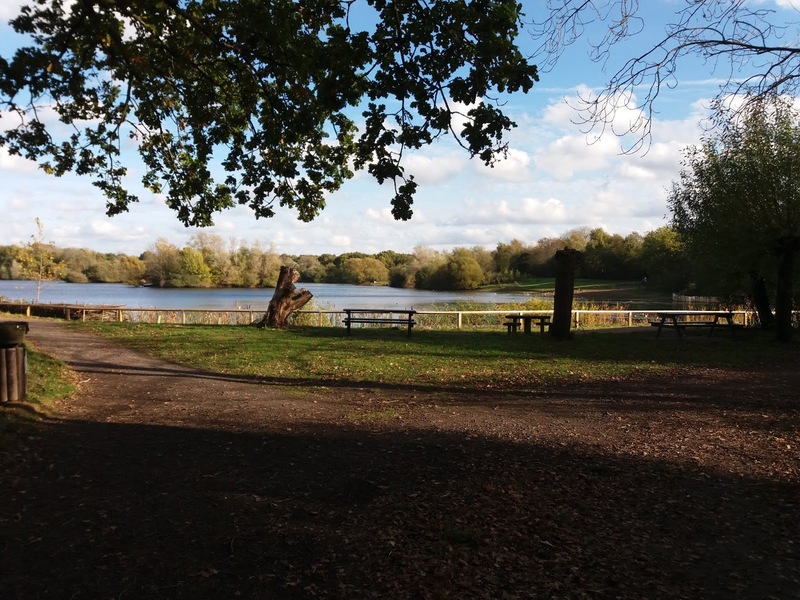 Once the gravel workings were completed, Tonbridge & Malling Borough Council purchased the site and created the park. The park stretches from Barden Lake at its eastern end, westwards to Haysden Water. The River Medway runs along the park’s northern edge, away from the Leigh Flood Relief Barrier and Storage Area. The latter scheme plays a crucial role in the protection of Tonbridge from the threat of flooding. 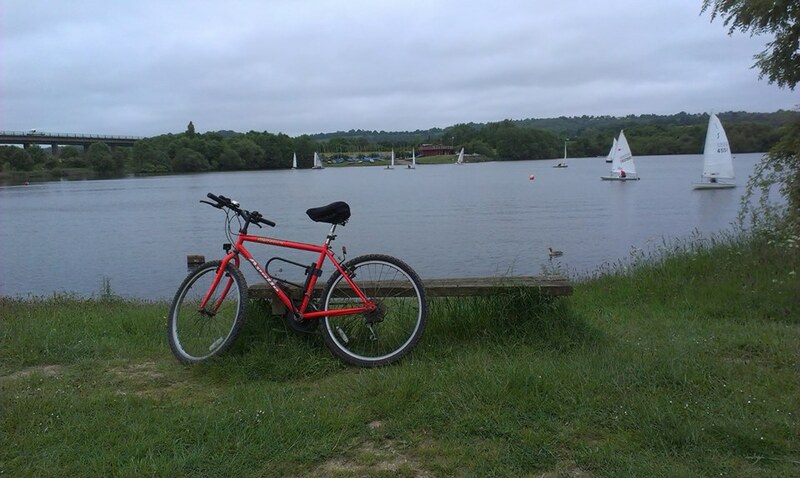 The park can either be reached by car or, by my preferred method of cycling out from Tonbridge. 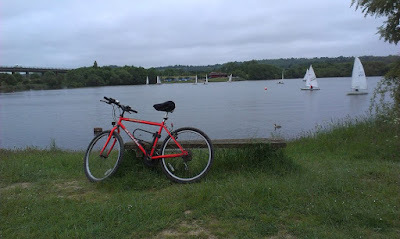 My route normally starts from the old Racecourse Sports Ground; a large 69 acre site set between two meandering branches of the River Medway, right in the heart of the Tonbridge, next to the town’s 13th Century Castle. There are lengthy hard-surfaced paths circling the whole of the sports ground, both along the banks of the river and through nearby woodland, and it is one of these which leads to the country park. As the weather was quite clement on Saturday, certainly for early November, Mrs PBT’s and I decided to take a trip down to Haysden Country Park. The idea was to take a walk around the lake, in order to assist with my wife’s ongoing rehabilitation, but also for a spot of brunch. There is small, lock-up café along with a picnic area, just along from the car park, and I knew from a couple of friends who carry out voluntary work at the park, that the café serves up a mean bacon roll, plus a decent cup of coffee. Despite my aforementioned fondness for cycling, we drove down and after parking the car the café was our first stop. It seemed as if half of Tonbridge had the same idea, but the café is well run and properly organised, and after placing our order we didn’t have to wait long for the staff to call our number. My bacon and egg roll was excellent, and Mrs PBT’s bacon and sausage baguette was equally good. Suitably refreshed, we took a walk along to the lake. The path passes under a bridge which carries the Tonbridge-Redhill railway line, before opening up into the expanse of Barden Lake. There was a brisk wind blowing, but with the sun shining it felt quite warm for the time of year as we began our walk along the northern shore of the lake. Like us, there were lots of people out enjoying a spot of fresh air and the views across the water. There was even the odd fisherman, bunkered down in a bivouac. We got about half way round, before turning back. Mrs PBT’s legs are beginning to function normally again, but with a traipse around the supermarket to follow, she didn’t want to be over-doing it. We returned to the car, pausing on the way to take a few photos and for a quick look at the Shallows. This is a winding stream which at one stage was part of the River Medway. The various meanders taken by the Medway and the presence of a number of gravel beds, meant the river was rather shallow and difficult to navigate, so since the river was used by canal boats a navigable diversion was constructed around this section. The Shallows then became a quiet backwater stream which is gradually developing into marshland. Eileen remembers spending many a happy day there, as a child, playing and paddling in shallow water, which was crystal clear back in those days. 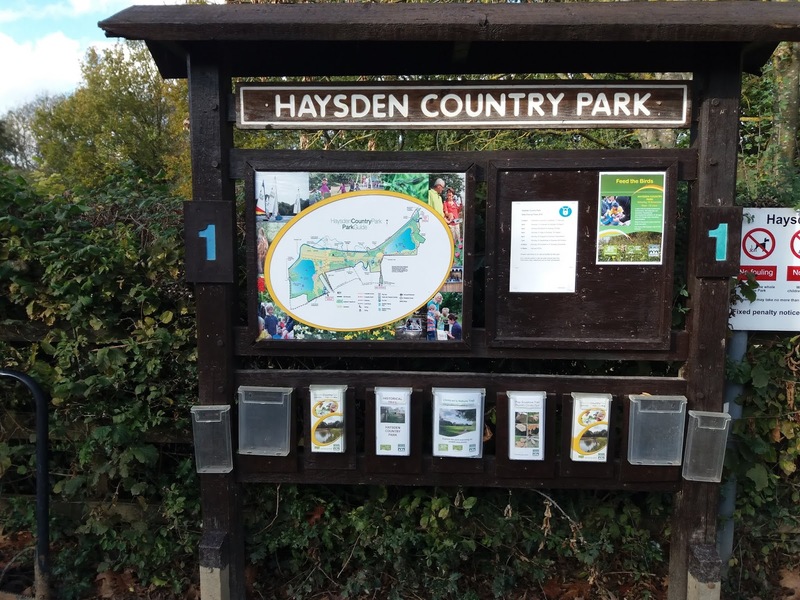 Before ending this little piece, it’s only right that a special mention should be made of the Haysden Country Park Volunteers. 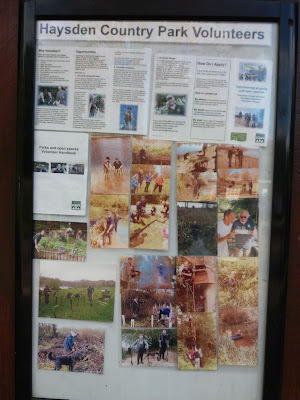 Two of my friends belong to this group, which meets on the second Saturday of every month to carry out conservation work, ranging from bank protection, removal of non-native species of invasive plants, landscaping and coppicing work, clearing of scrub and other associated schemes. The hours of unpaid work which this group puts in each month, helps to ensure the park retains its all year round appeal, and also encouraged wild life to flourish. Most importantly, it ensures this Local Nature Reserve and Site of Nature Conservation Interest, remains unspoilt for future generations to enjoy and appreciate. One final point which ought to be mentioned, particularly in a blog which majors on beer and pubs, is that a short distance away from the entrance to the country park, is the former Royal Oak pub. 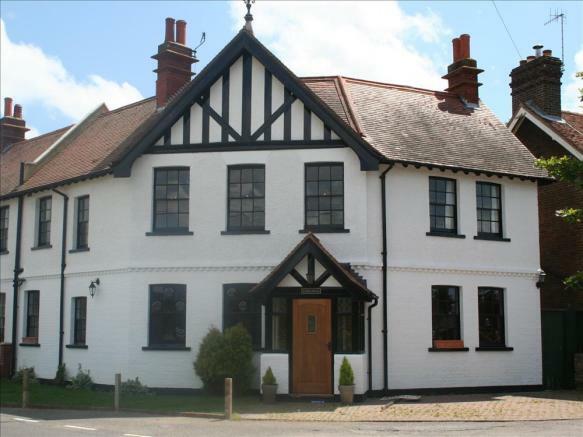 This late Victorian, two-bar public house closed some time around 2010, and has since been converted into two private dwellings. The former landlord claimed that not enough people were using the pub, and whilst he may partially have been right the Royal Oak was ideally situated to capitalise on its proximity to Haysden Lake, and would have been the ideal spot for a welcoming beer. I can’t help feeling an opportunity was lost, somewhere along the line. I'm not sure that it would apply in this case, but a commenter recently made a very good point about "dying" pubs, and their subsequent conversion to residential property. Given that pubs with significant parking areas would increase enormously in value with Change Of Use to residential, he suggested that some pubs were being deliberately run to fail, in order to make a business case to support such a planning application. Otherwise, yes, Paul, you are indeed fortunate there in Tonbridge! Etu, the pub in question was thriving when I first knew it back in the late 80's/early 90's. It even held a couple of successful beer festivals. I'm not sure what went wrong, although I have a few suspicions. I think the landlord basically lost interest, and decided the pub would be worth far more as a couple of residential properties, than a house offering refreshment to the general public. A real shame, as in the right pair of hands the pub could have been a real gold mine, given it's proximity to the country park. I really sense our year of sun and bright sunshine into November has got people out of the house and into country parks and seasides, boosting fitness and local tourism. Will be interested to hear official figures. 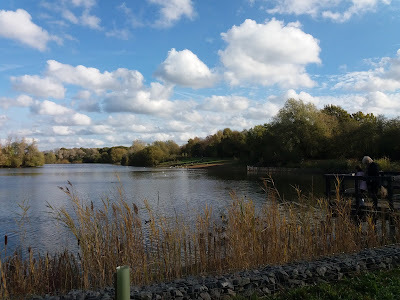 I grew up quite close to some disused gravel pits, and they were an adventure playground for us kids for many years. It's a miracle that none of us drowned, but your pictures bring back the memories. They are now a wildlife reserve and park, but we learned all about the life cycles of amphibians, of the waterfowl, and of the various vegetation back then in our own ways and time. Martin, it certainly has been a year of bright sunshine, and we are now being rewarded with some spectacular autumn colours. The leaf fall also seems late this year, probably because there’s been little in the way of frosts, so far. Etu, the things we did when we were children, eh? Mind you, I think it’s the same with every generation, as some of the things my father got up to, when he was growing up, would make your hair stand on end. It’s good that these former gravel workings are now providing havens for wildlife, and also encouraging that many are being managed as public amenities. "some great places to enjoy a pint." 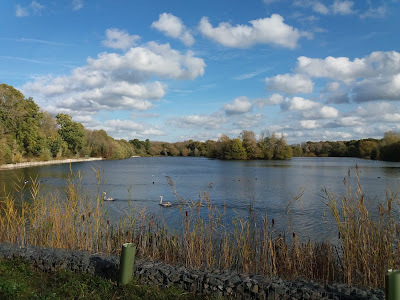 "Once the gravel workings were completed, Tonbridge & Malling Borough Council purchased the site and created the park." 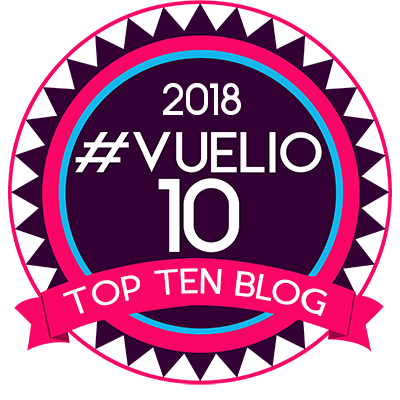 "Mrs PBT’s legs are beginning to function normally again, but with a traipse around the supermarket to follow, she didn’t want to be over-doing it." 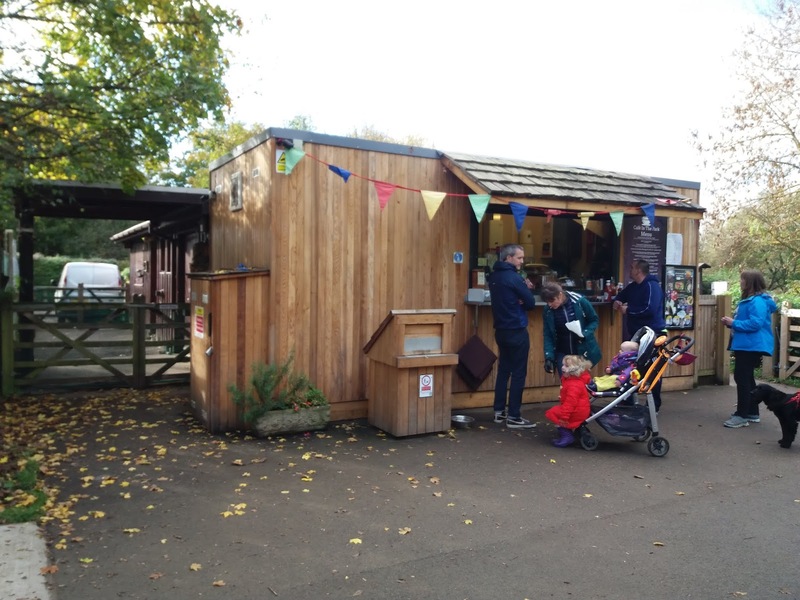 "The hours of unpaid work which this group puts in each month, helps to ensure the park retains its all year round appeal, and also encouraged wild life to flourish." Unsung heroes are the backbone of society, and I mean that most sincerely. "I can’t help feeling an opportunity was lost, somewhere along the line." "For great lager, follow the bear"